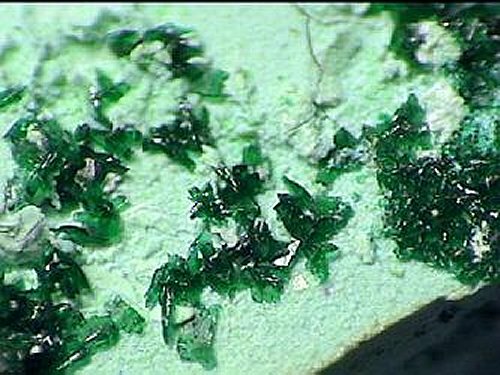 Comments: Deep green pseudomalachite crystals on cuprous halloysite. Location: Black Pine Mine, Philipsburg, Granite Co., Montana, USA. Scale: Crystal size 1-2 mm.